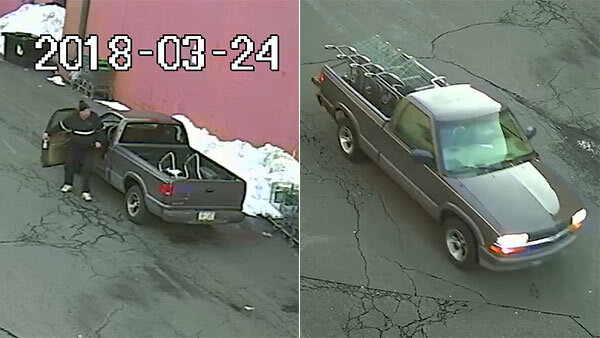 FEASTERVILLE, Pa. (WPVI) -- Police in Bucks County are searching for a man who stole shopping carts from a supermarket. The Lower Southampton Township Police says it happened on Saturday at the Giant on the 1000 block of Bustleton Pike in Feasterville. According to police, a man arrived in a pickup truck and loaded the shopping carts into the rear cargo bed. He then left the area. Police say the man did not have permission to take the carts which were being stored along the side of the building. Anyone with information should contact the Lower Southampton Township Police Department at 215-357-1234.